ExxonMobil convenes its shareholder meeting on Wednesday in Dallas. As the largest energy company in the U.S. and the largest worldwide outside of China, Exxon faces an uncertain future. Its former CEO’s departure for the State Department, a three-year slump in oil prices and the specter of investigations into the suppression of climate change research are amongst the challenges it faces. But some shareholders, in addition to NGOs, are nowhere close to letting up on Exxon. 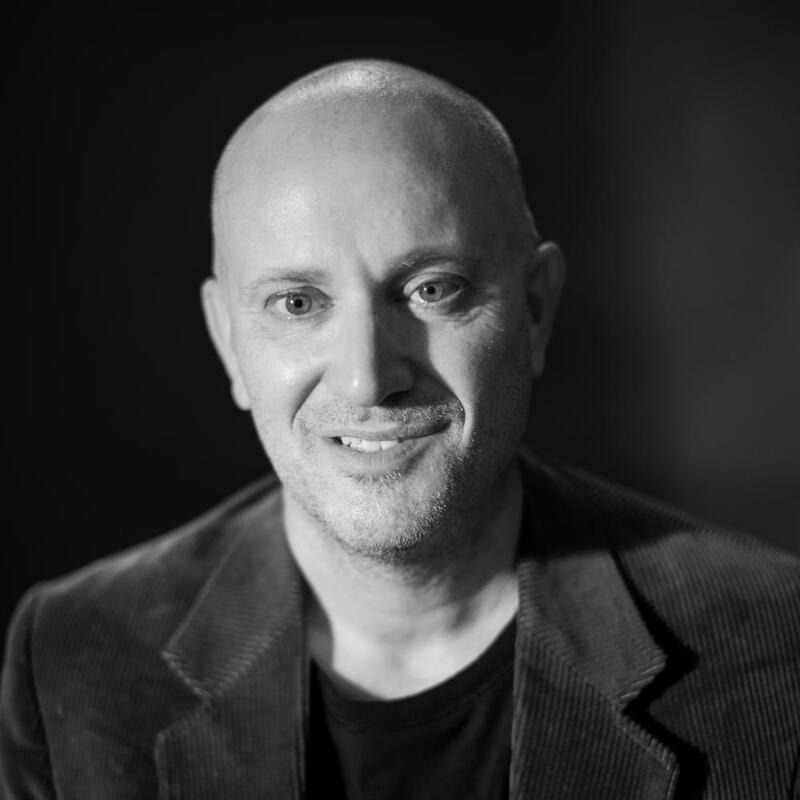 Activist investors put matters up to a vote on the company’s annual proxy statement. On the proposals related to corporate governance, equal pay and climate change, the company’s board recommended a “no” vote – though, in fairness, it also opposed two proposals aimed at muffling shareholders’ attempts to call meetings or submit resolutions. One organization adopting shareholder resolutions as a tactic to nudge Exxon to take more action on climate change is the shareholder activist group As You Sow. The organization submitted a proposal that, if passed, would require Exxon to prepare annual disclosure statements on methane leaks across its operations. As You Sow's resolution also asks the company to reveal the methodologies used to detect such leaks as well as how they are stopped. Environmental activists say such moves are necessary as methane is a greenhouse gas much more potent than carbon dioxide. And the Environmental Protection Agency’s recent decision to rescind its recent methane disclosure rule makes such reporting by energy companies even more crucial. The resolution is expected to fail. But as with similar proposals, a significant number of “yes” votes could score the attention of Exxon’s board members and executives. “We can no longer trust mere assurances that Exxon has this problem handled. The consequences are too great,” Danielle Fugere, president of As You Sow, told TriplePundit in a emailed statement. Greenpeace is also calling out Exxon for its alleged track record of climate denial. The group attacked the oil company for its release of an energy outlook report that is in stark contrast to the global climate change goals upon which countries agreed at the 2015 Paris climate talks. Greenpeace suggests that Exxon is misleading investors through its reluctance to disclose how much global temperatures will increase under such a scenario. “Investors should recognize that Exxon is relying on an outdated business model that contributes to an unsafe climate that will impact us all, and demand that Exxon explain how they will adapt to a carbon-constrained world,” said Naomi Ages, a senior campaigner with Greenpeace. "Exxon is content to hypocritically profit from catastrophic climate change that could destroy people’s lives, and is already impacting people living in the company’s home state of Texas." 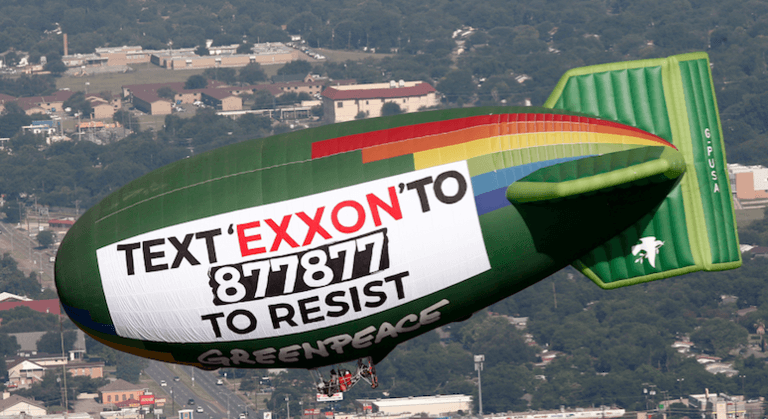 Greenpeace posted advertisements on billboard space, planted stickers at Exxon service stations, and launched its thermal airship in the Houston area to highlight what the group says is years of climate denial and information suppression. Meanwhile, in California, environmental groups, politicians and the Los Angeles Times are insisting that Attorney General Xavier Becerra ramp up the state’s investigation into Exxon’s alleged suppression of climate change research. Bercera replaced Kamala Harris, who launched the investigation last year. Unlike AGs in Massachusetts and New York who are also investigating Exxon, Harris reportedly made little progress on California’s investigation while she ran for the state’s U.S. Senate seat. Moreover, not much has changed with the investigation since Bercera’s appointment in January. The the Times' editorial board urged the attorney general to move forward. “Holding ExxonMobil – and any other energy company – accountable for past misdirections would help incentivize corporations to be more transparent,” they wrote in Tuesday’s edition.